Purchasing a house for the first time can be an emotional roller coaster. It can be exciting one minute and nerve-wracking the next. It can also be disappointing, especially if you encounter setbacks. There is no sure-fire way to eliminate disappointments and anxieties when it comes to this endeavour. However, you can prepare for it to ensure that you do things the right way and minimise your stress. If you are buying a house, below are tips for first-time buyers like you. Before viewing houses, have a list of features you need and want in a house. Apart from narrowing down your options, listing down your non-negotiables can prevent you from losing focus or getting drawn to amenities that really do not matter to you. However, be informed that finding a house with all of your needs and wants rarely happens. So, be ready to compromise along the way. As you shop around, you are most likely going to encounter a beautiful property which is above your price range. You may be tempted to stretch your budget and purchase this “dream house”. You have to be realistic, though. Going beyond what you can afford can have serious financial repercussions later on. It’s best to stick with what you can afford. Keep in mind, apart from your mortgage payment, you would have to include maintenance cost in your monthly budget. Nowadays, there are mortgage calculators online which you can use to determine how much you can afford. You can also enlist the help of loan officer to come up with accurate figures. When it comes to matters relating to house buying, it is best if you check your options first before choosing. Do not immediately say yes to the first mortgage company that you visit. Moreover, do not get easily swayed by promos. Try to shop around and look for one that offers the best interest rates and terms. An experienced realtor has an in-depth knowledge about the area and the market. She also listens to clients’ requirements and strives to deliver what they want. 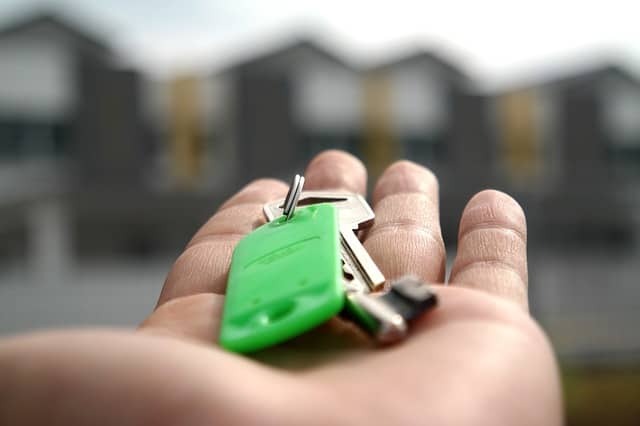 Hence, with the help of a seasoned and trusted real estate agent in Ireland, finding your first house wouldn’t be time-consuming and stressful. Furthermore, she can provide assistance on other important matters such as finding estate lawyers or mortgage companies and accomplishing necessary documents. A common mistake amongst first-time buyers is that, once they find a property they like, they bid at or above the asking price. Do not do this because it can make other buyers think that the property is worth more. Consequently, they would bid higher which would drive the home’s price up. The best strategy is to give a reasonable offer that’s slightly below the asking price. Buying a house is not a walk in the park, even if you have the best people working with you on this. You may encounter challenges along the way such as not immediately finding a property you like or getting outbid by other homebuyers. Sometimes, just when you thought you’ve finally landed a good house and deal, the structural survey may reveal otherwise. So, manage your expectations and anticipate these difficulties. Keep in mind that these challenges are all part of the process and soon enough, with patience and determination, you’d be able to buy your first house. Planning to buy your first house in Ireland? Our real estate agents are experienced in dealing with first-time buyers. Call us at 01 495 9020 today!